Lock in a great price for Big Hostel – rated 8.3 by recent guests! I work just near and had an Xmas do. Didnt want to spend 200+ on other options close by. Booked a private room with own ensuite. Was perfect for my needs. Cosy and comfy, surprisingly quiet for a hostel. Definitely stay again when the need arises. The space was quite funky and sociable, have pretty much everything necessary for traveller. Staff was super friendly and helpful. Staff very friendly. Breakfast (Cereal/toast, tea/coffee) supplied. Filtered water is cold! Room very clean. Quite. I like that everyone in the hostel is warm and friendly! All the receptionist are superb! I stayed in a 4 bed with private toilette room and 8 bed shared bathroom room. Both were clean and tidy. The staff is excellent, really friendly and always willing to help. The kitchen is also very good! 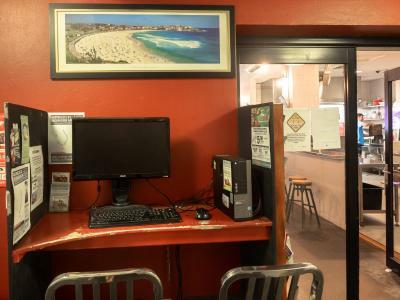 Featuring a rooftop garden with barbecue facilities and sun terrace, Big Hostel offers affordable accommodations in Sydney CBD (Central Business District), a 5-minute walk from Central Station and a 10-minute walk from Darling Harbor. Guests enjoy unlimited free WiFi. 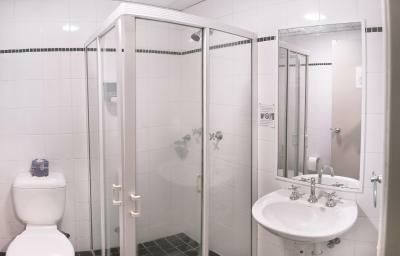 Guests at The Big Hostel Sydney can choose between dormitory accommodations or private rooms with private bathroom and TV. Each spacious room includes air conditioning and double glazed windows. Free luggage storage is available. Facilities include a shared kitchen, laundry facilities, and a comfortable lounge and dining area with large TV. The travel desk can arrange airfares, bus passes and tickets to many Sydney attractions. A 25-hour reception is available. 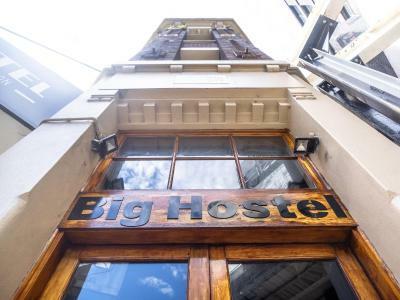 Located in the heart of Sydney city center on the edge of Chinatown, Big Hostel is 15 minutes by tram from Sydney Fish Markets. 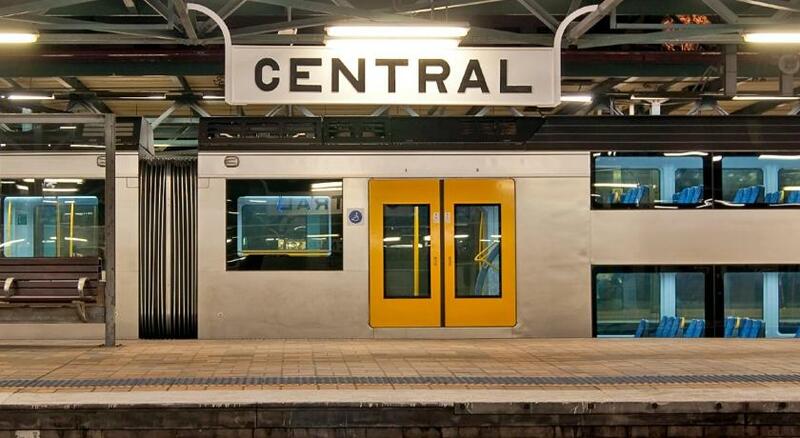 Central Station offers easy access to all the city’s attractions. When would you like to stay at Big Hostel? This room has no capacity for extra beds or cribs. Please note that this room cannot accommodate children under 16 years. This room for 4 guests has a private bathroom and secure baggage lockers. This private air conditioned room features a private bathroom. This air-conditioned room offers a DVD player, a TV and a private private bathroom. House Rules Big Hostel takes special requests – add in the next step! Big Hostel accepts these cards and reserves the right to temporarily hold an amount prior to arrival. We were a party of 4 elderly ladies. We found the top bunks difficult to climb up and down, mainly because the ladders have round rungs instead of flat ones. The top bunks were also difficult to make up when we first arrived. Location was fabulous....so close to Central Trains and light rail. Friendly,helpful staff. Good facilities for making own meals. Big rooms, comfy beds and clean bathrooms. Nice lounge to chill, big kitchen with free breakfast in the Morning and a nice rooftop. The staff was absolutely amazing!! Thank you so much for everything! wonderful staff they scanned documents for me just to help me out even.though they were buissy and the night manager was a realy nice guy. Its clean and in a great central location. Comfy beds and nice down stairs lounge to hang out in good kitchen. 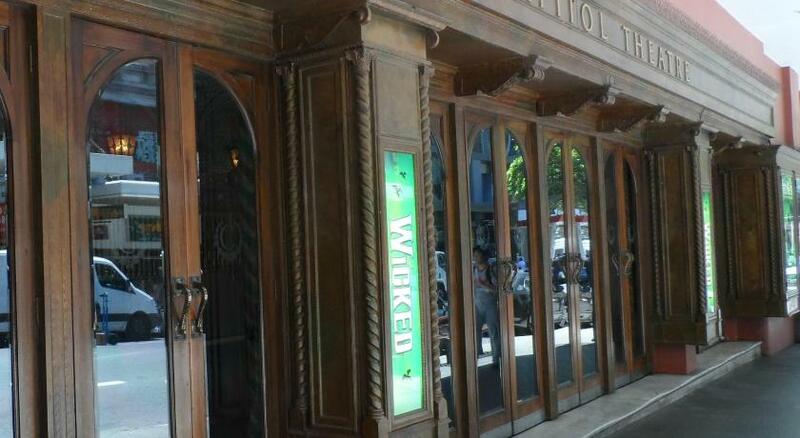 Not a party hostel but a great central place for orientating your self around the city. The bathroom was so dirty that I tried to get in as few times as possible. I was to cold all the time. I think they have an AC but don't control the temperature depending on the weather. But you just ask for a second blanket. First world problems so fair enough. 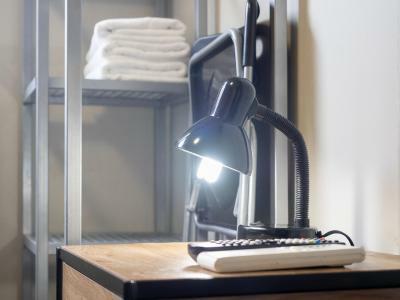 No little lights for your own bed and only Australian power inputs. Great Hostel with all you need and nice people that work there. One of the Staff members gave me a really good advice for visiting the Blue Mountains. Great area to chill with huge couches! Both my husband and I found the bed cover very dirty. Under the bed cover, there was the bed sheet and no blanket. Also, the housekeeping staff did not clean our private room but put one ofour pillows on the floor and a bath tower on the bed. Thus, I put the do not disturb sign out during my stay there. The staff were helpful and the location was great. Washroom door was broken and key to my room was difficult to open (even after 3 keychanges). 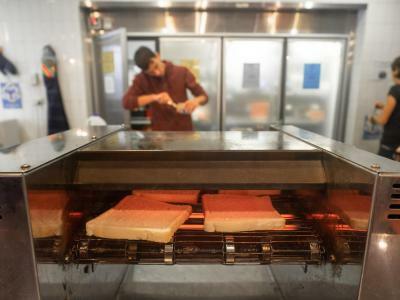 Location was good, staff were friendly, kitchen facilities where increidably clean and had everything I needed. Rooms were extremely spacious, and overall a good vibe at the hostel!